Good news to all Wonderful fans in Malaysia!! 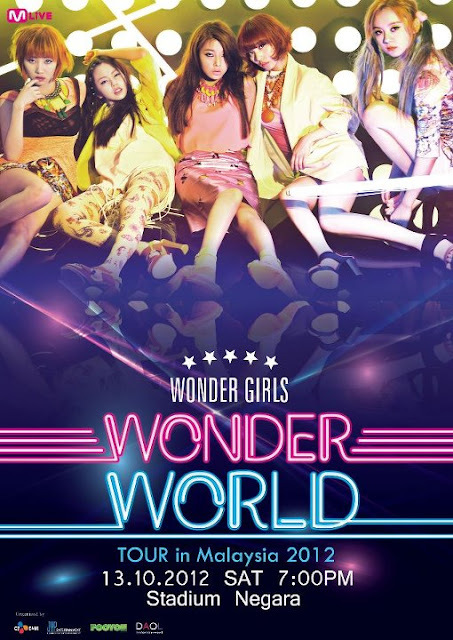 The popular Korean girls group, Wonder Girls may come to Malaysia again this year for Wonder World Tour in Malaysia 2012 on 13th October 2012 (Saturday) at Stadium Negara, Kuala Lumpur. Actually, their concert is 2 weeks before concert Big Bang Alive Tour in Malaysia at the same place. 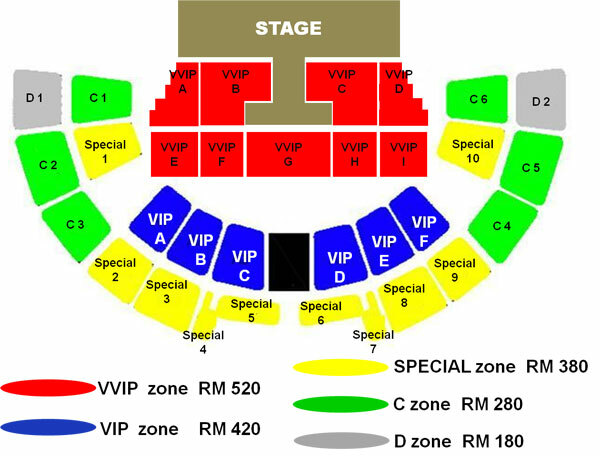 Tickets pricing starts from RM 180 up until RM 520 and below is the seating plan. Check out!! !